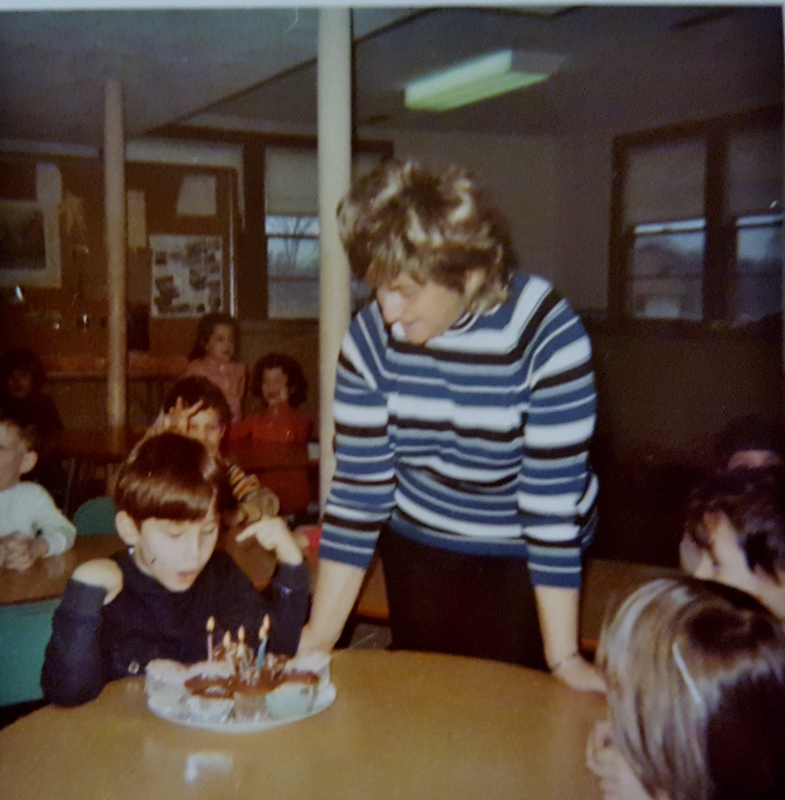 This is a photo of my youngest brother Lance in school having a birthday party with My mother by his side. She was always by all our sides. She loved her children.  This photo was taken February 13, 1971. Lance was having his 5th birthday party. My mother smiling down at him as he blows out the candles. I remember my mother baking those cupcakes the night before she brought them into his class to celebrate with his little classmates. 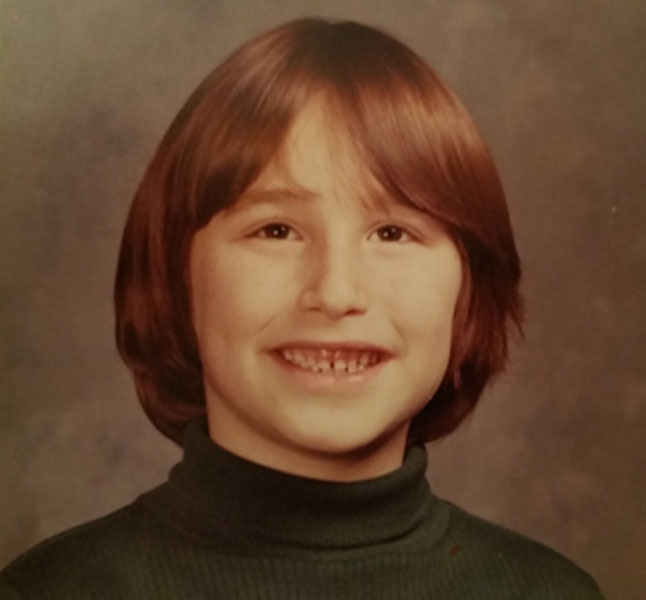 It's funny, but the past few years I have highlighted my hair similar to what was referred to frosting your hair back then. I didn't even realize it, but I find myself wearing outfits and doing my hair like my mother did when she was my age. An unconscious connection I guess. As I grow older I even fin myself having more and more of her manerisms. My brothers and my son and husband and other find it funny and even reminiscent of her. I'm blessed by that. My brother Alan recently said to me, "you remind me so much of her , I think she never died. ". 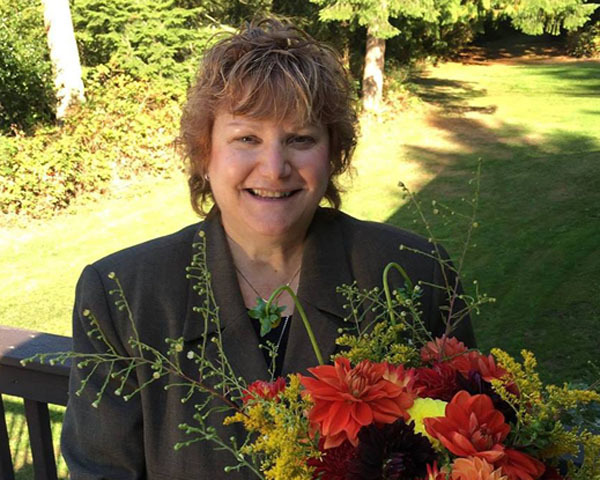 This photo was taken in our home in the Boston area, in Sharon, Ma. in May of 1970. I was eleven going on 12 I believe as May is my birth month. 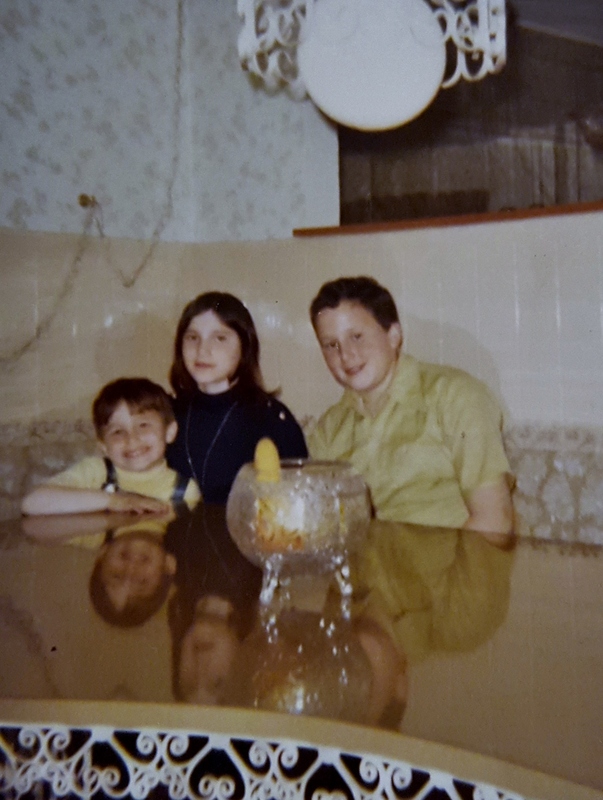 Pictured with me, on my lap is my youngest brother Lance. My older brother Alan is next to me. The three of us are close to this day. I remember having a booth style kitchen set in our kitchen back then. My mother loved it, and so did we. We had many family dinner gatherings around it each night, and many family get together's with extended family and friends. We had a lot of fun times and wonderful memories in that home on Richards Ave. I hear from friends and family members today still, that remind me of how much fun our home was to visit. It brings me back to warm a nd pleasant memories of living in my parents home when things were good and I felt secure. 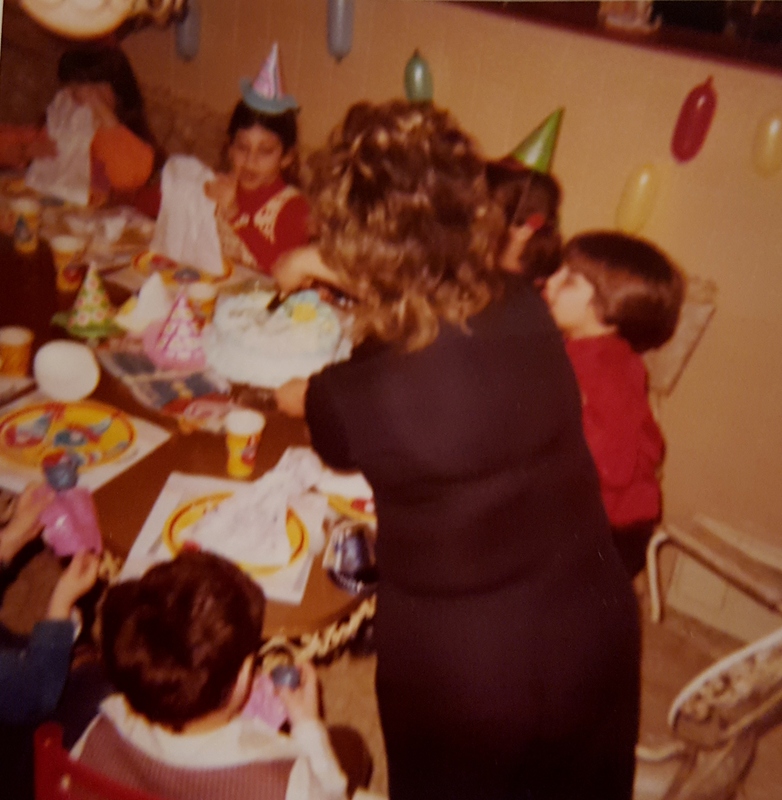 Here's a photo of my mother entertaining friends, and she had some great loyal, long lasting friends. This was in our kitchen after my parents divorce. This was a different kitchen, in an apartment we rented after my parents separation. Those were harder times for us. By then, I was 14 , my brother Lance was 7 and we had lost our home and security for a while. My mother being the strong woman she was, went back to work, after being a stay at home Mom all those years. 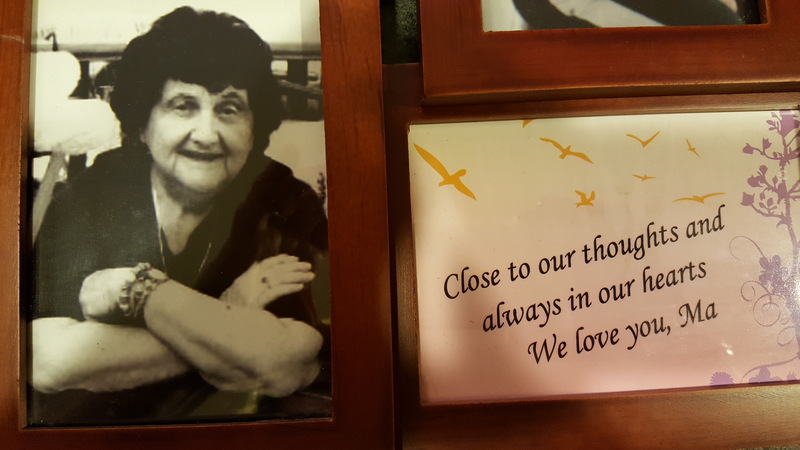 It was hard on her after my father left, but she had a lot of support from my grandmother, other relatives, and her long term friends from high school and in the community. She never married again after my father left. She devoted her life to what she loved best, her children, her mother and sister and her friends. Lance and I at the time were the only two children left at home. While my mother worked, I would come home from school and care for my younger brother till she got home. But she made sure I had plenty of time for friends too and recreation as it was important to her, that I enjoy high school. 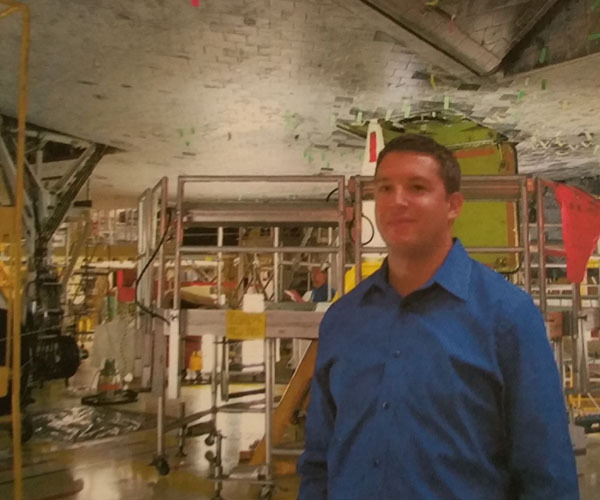 I had a lot of physical challenges too due to a childhood illness and undiagnosed Celiac disease. So she wanted me to be sure to recreate. She loved to be with me. Have special outings together, mother and daughter events and all. I didn't always appreciate it back then, as I saw being with my friends as top priority, but I sure appreciate it now. And since my other brother was off in the service by this time, her focus was on me and my brother Lance. Alan was 16 when he joined the navy, and he did quite well. He learned a lot of discipline and went on to marry and have children. He , like my mother adored his children and has been a great father, and now an adoring grandfather. This photo was taken in the Boston area back in the early 1960's. 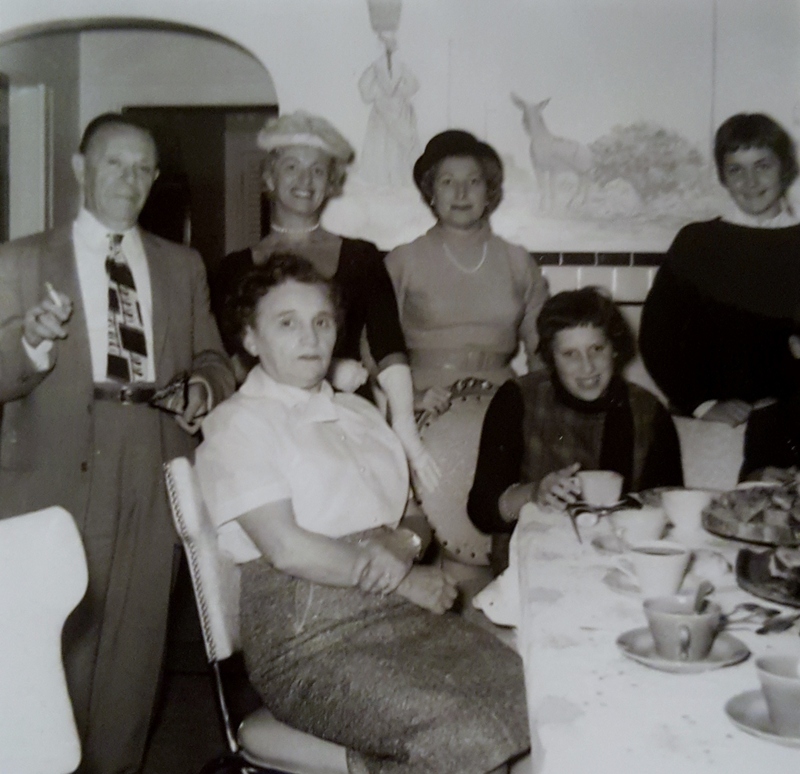 My grandmother often had family gatherings with aunts, uncles, and cousins back then. 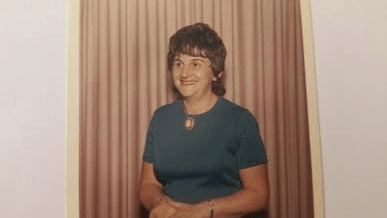 I can still remember the sponge cake she served, the mundel bread and candy. She served tea, soda for the kids, and coffee. My grandmother used to make her own root beer. You can see in he picture the coffee and cakes on the table. I still remember that kitchen, and the aromas of her baking as we would walk in and be greeted with a great big kiss and hug. We miss you Bobbie! 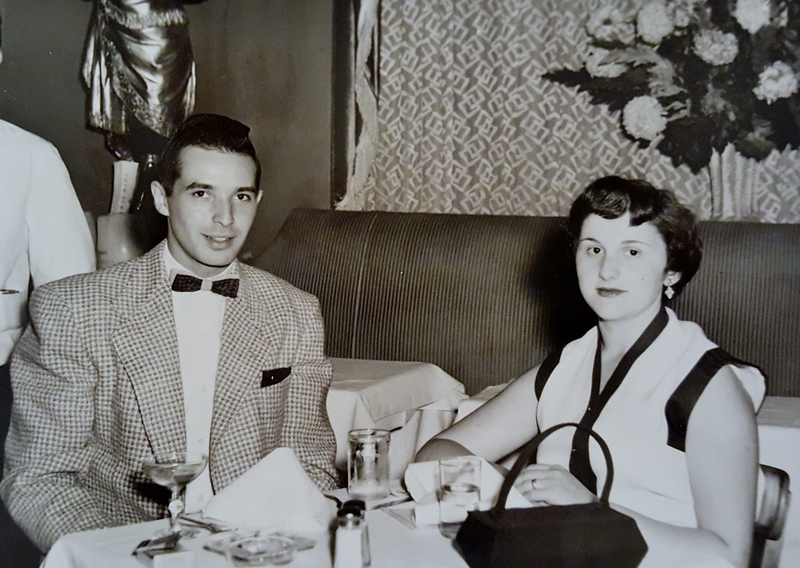 This was a photo taken of my mother and father as they were out on a date early in their marriage. Looks kind of like an "I love Lucy episode, doesn't it? Of course , that was the era. In this photo I see such a resemblance with my son Paul and my father. My son looks and acts so much like my father, it's amazing when that happens. Miss you Mom and Dad! They were such fun loving people, and taught us that as well. That's why when they split up, it was particularly hard, we were missing all the fun times together as a family. July 1951 . My Mother always loved him so much. 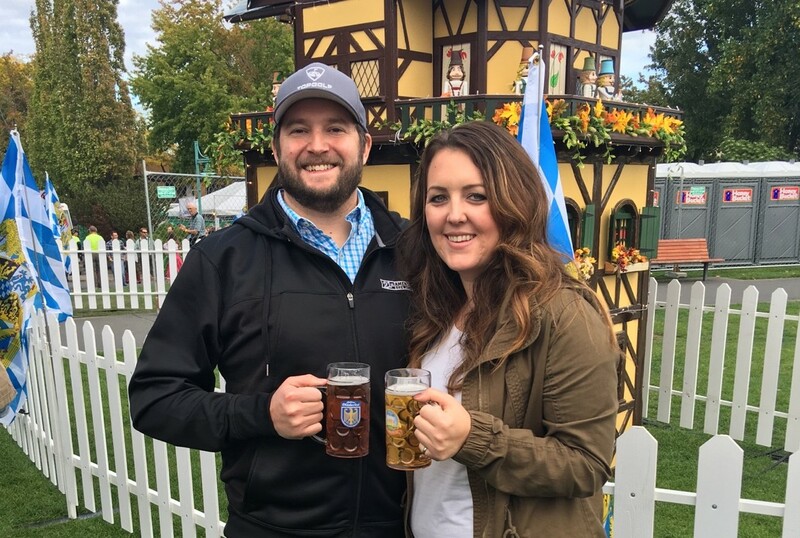 They divorced when I was 14, because of a lot of differences. Especially religious! It drew them apart. My father was able to move on. My mother never did! He remarried 2 more times. First time he remained married till his second wife died of a brain tumor, and the third marriage he remained married till he died. My mother never remarried. She never got over him. 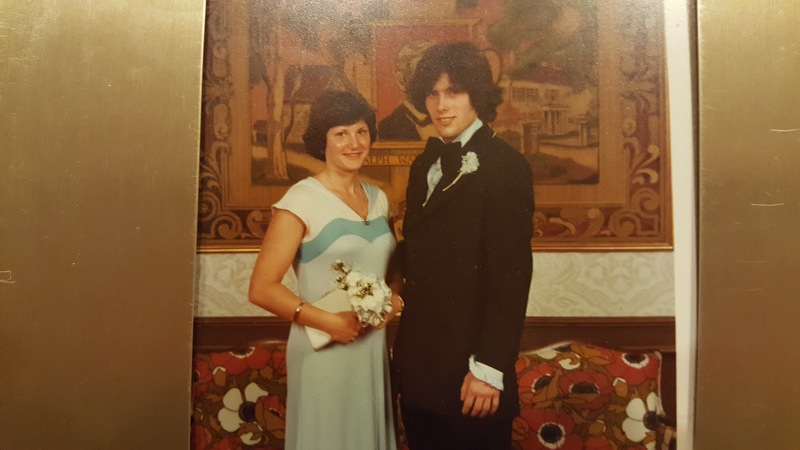 This my senior Prom photo from 1977. I went with a special guy who was a perfect gentleman. His name was Danny McAdams. My mother loved this photo. Later so did my husband! 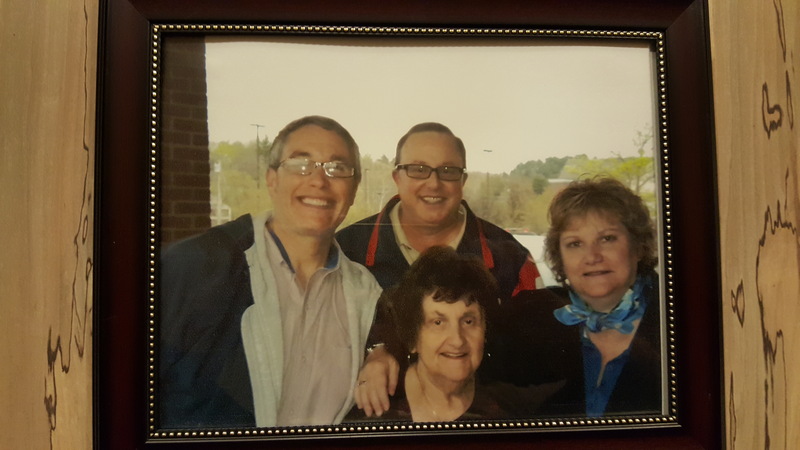 This is a photo of me, Brothers Alan and Lance and Mom in front of a restaurant for my 50th birthday! This was very close to the time she died. I could see she was losing her appearance a bit. It saddened me to this, as she was always so particular about her appearance. Miss you Mom! I was grateful, I had Alan and Lance to help share the grieving. It was hard on all of us. My son Paul and my husband Cy too! We all loved her so much! And she knew it. This is one of my favorite photos of my mother about 2 years before she died. She is pictured on my front porch in N.H. My friends Tammy and Brenda put together a Collage of pictures with a quote and sent it to me as a gift after she died. It really blessed me during my time of grieving! 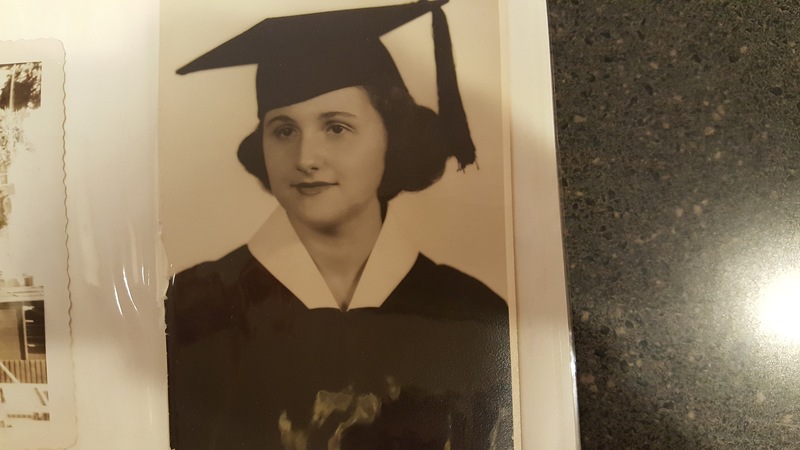 This was my Mothers Graduation picture . She Graduated in Chelsea, Ma. 1950. 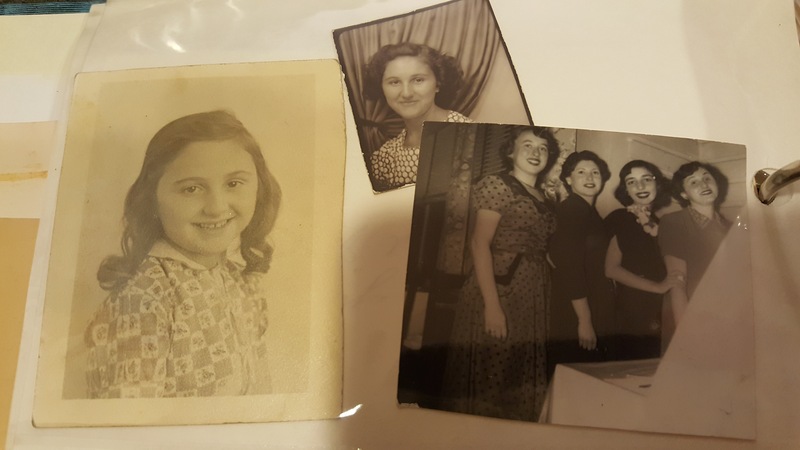 Some photos of my Mother. I want to post more photos of my Mother like these. They show just how social she was. She was always so full of life and Fun. Every weekend there was always something to do. In her elder years it was hard for her because she couldn't be so active on the weekend anymore, and it took it's toll on her. But we took her out as often as we could, and so did some of her friends. This was a photo of my mother in front of her house in Chelsea, Ma. She is pictured with her little cousin. I believe his name was Hymey or Sidney. Not sure! 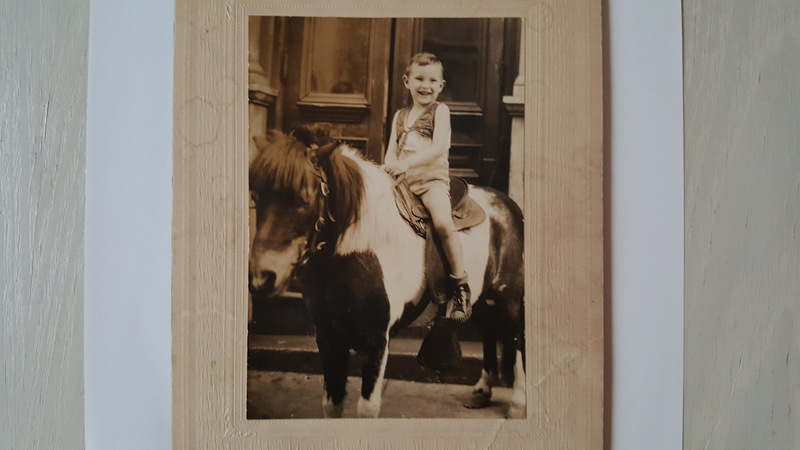 This was a photo of my Father at age 6 in 1937. Back then it was quite common for a man to go around to neighborhood's offering photo's of your child on a pony. 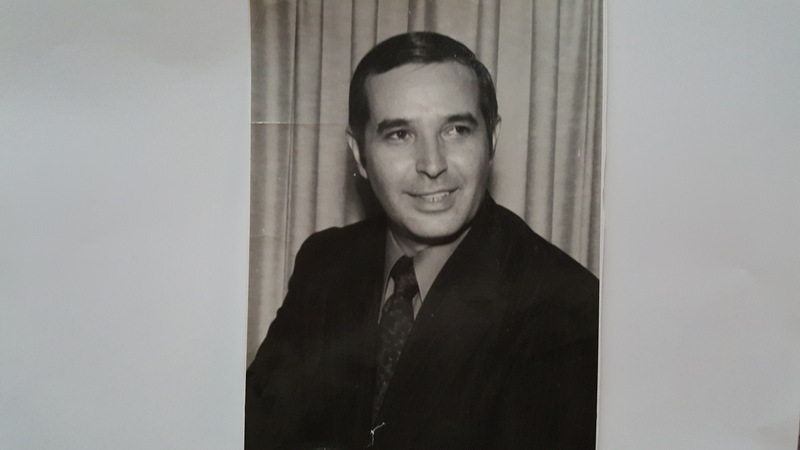 It was a big deal at the time, and my Grandmother always loved this photo of my father, and I have to say, I do too. 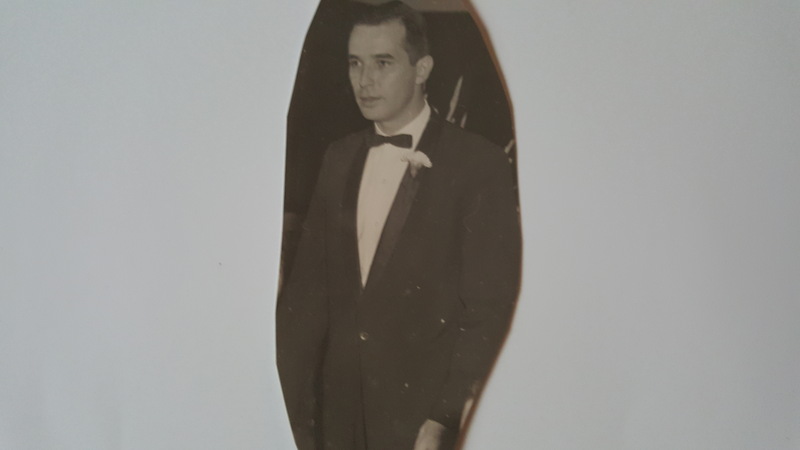 My Father at my Aunt Elaine and Uncle Martin's wedding early 1960's. My Father was one of the groomsmen. Around 1970 at my brother Alan's Bar Mitzvah. He was 39 here. 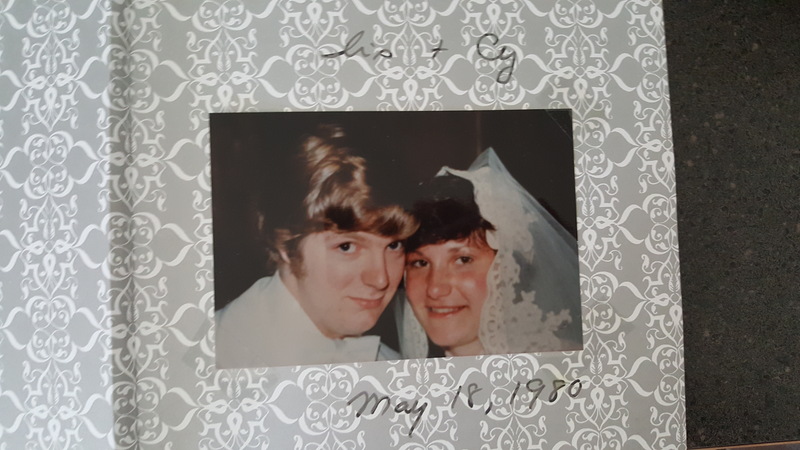 Our wedding May 18, 1980. The day Mt. St. Helens erupted. Little did we know that 34 years and 3,000 miles later we would be living in the State that boasted Mt. St. Helens eruption. This photo is the part where I threw the bouquet and you can see my mother jumping for it. Karen Huerth Whittey caught it though, and later she was married. My Mother was so much fun! She was a hoot diving for the bouquet! 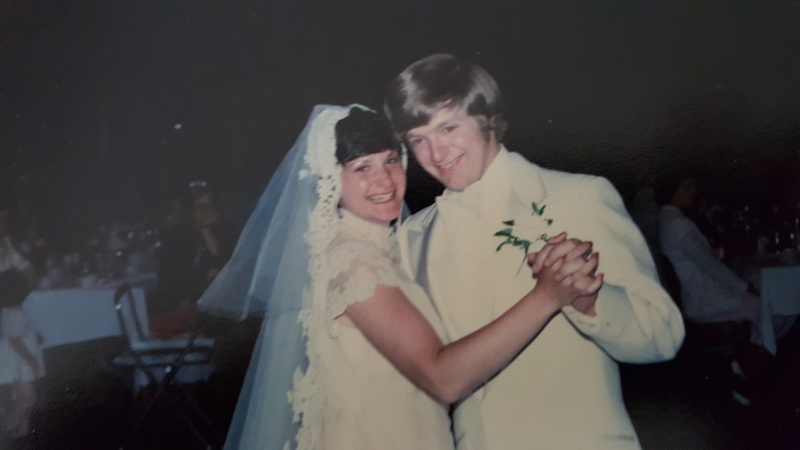 Our first dance at our wedding May 18, 1980. Our official wedding photo! We were so young! We were both 21 years old. Our parents thought we were too young, but with life's ups and downs we remained strong and can't imagine life without one another. I've been very grateful for Cy! My aunt Diane once told me we would do well because Cy was so family oriented. She was right! She passed away recently, I really miss her! 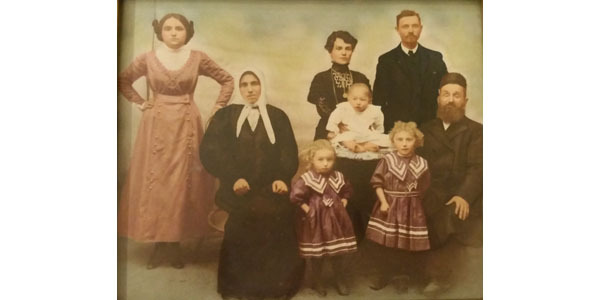 This photo was of my Grandmothers family from Russia at the turn of the century. 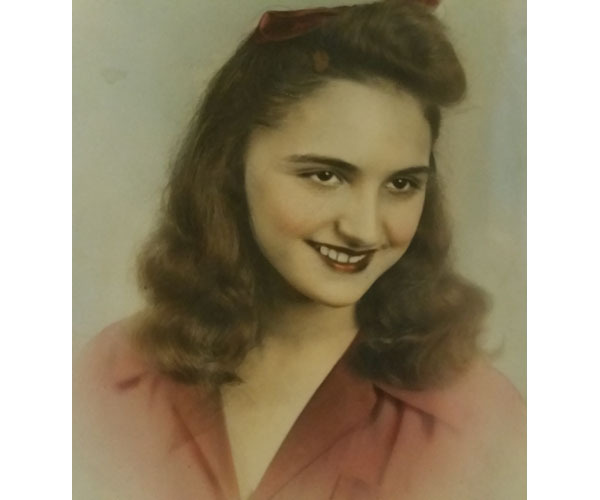 My Grandmother was 18 at the time. 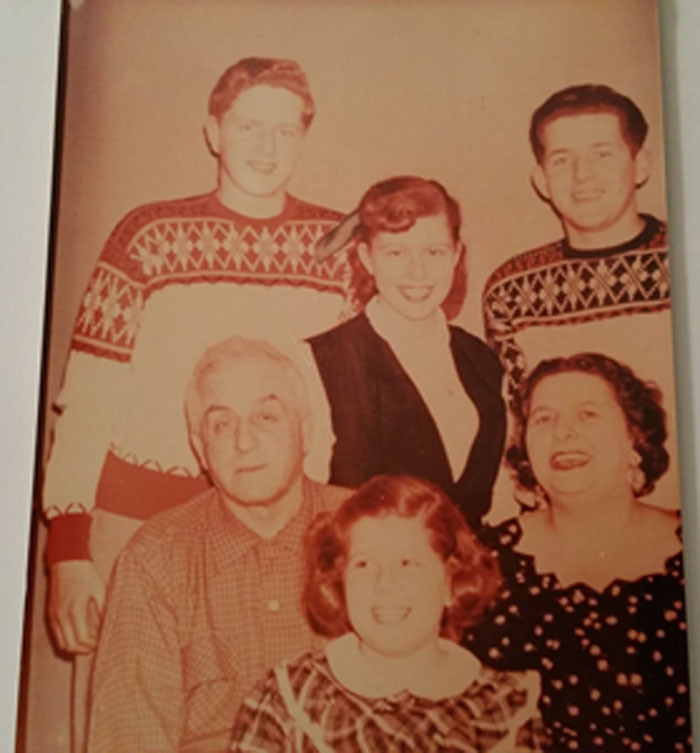 Pictured left to right is: My grandmother in pink, her mother Martha Kaplinovich, her sister Besse, her husband and three children (Jenny, Hymey, and Esther). Finally her father . This was a photo taken back in the early 70's . 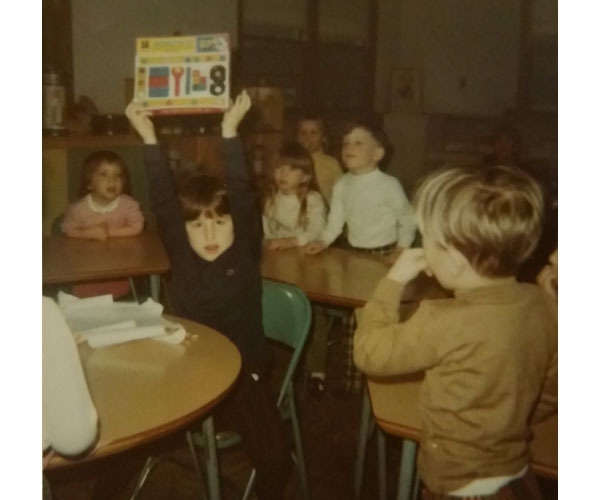 My brother Lance at school on his birthday receiving a gift. My mother was nearby. She was always nearby all her children. We were her whole life. Aunt Ruthie's beautiful high school year book photo. Circa 1947 or so. My mothers sister, she was beautiful! She suffered from Epilepsy due to a fall she had as a baby. She fell out of a carriage and knocked unconscious! They didn't know how to treat Epilepsy back then. So she was treated with shock treatments and several labodomies. It left her developmentally disabled as a result. It always saddened me to see what she went thru. My Grandmother too. But my Grandmother took care of her till she died, after that my Mother took on her care giving. 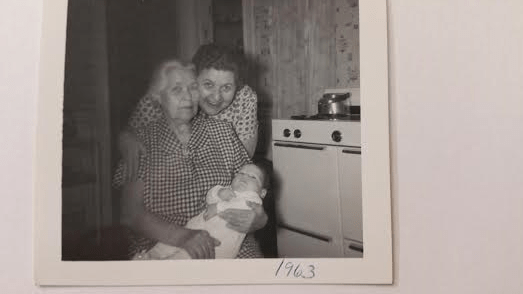 My Mother promised my Grandmother she'd care for her, and she more than kept her word. Me , Alan and Lance supported my Mother in this as best we could. Loyalty! It's so lacking today. But it was very prevalent in my Family. Not with everyone, but most of us! My Mother was an incredible role model that way! She walked the walk so to speak! 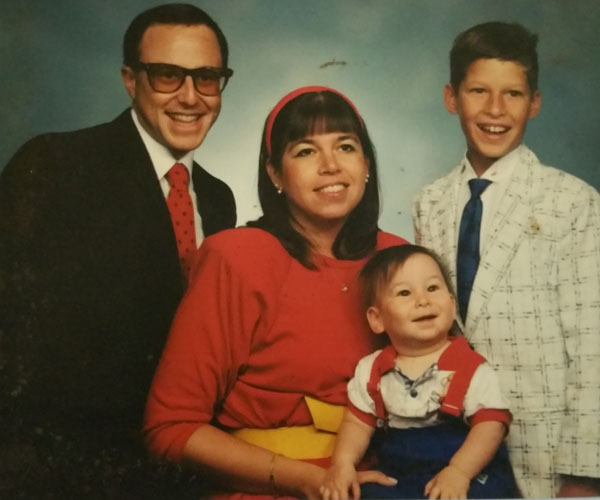 This is my brother Alan, his wife Bunny and sons Bryan and Chris. I called this Alan's Buddy Holly look! He looked so much like the rock 'n roll legend from the 1950's. 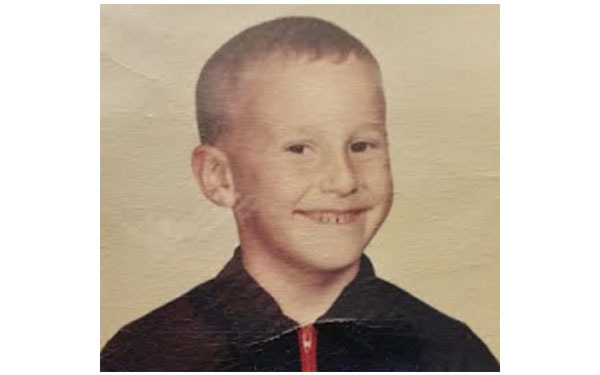 My brother Alan from 1967 when we lived in Sharon , Ma. 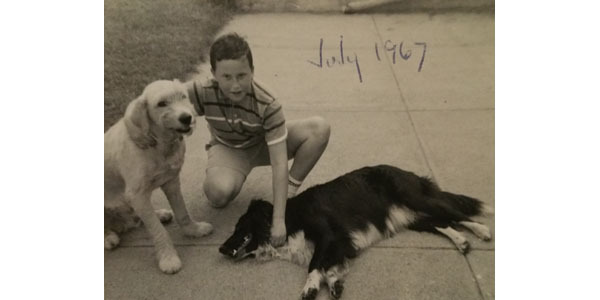 he is pictured with two neighbor dogs. 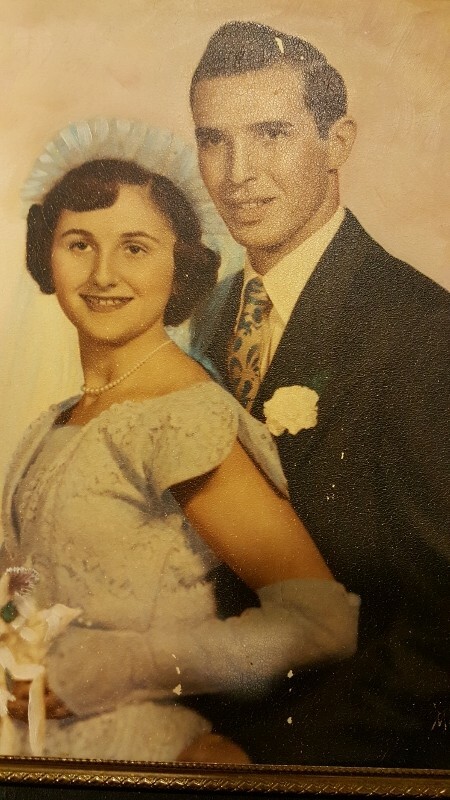 This is a photo of my grandmother(father's mother) and my father's step father back in the late 1930's maybe early 1940's. I believe it was in Boston, Ma. Later on Isacc Fisher adopted my father, who was then Thomas Miller. They changed my father's name to Lenny Fisher when Isacc adopted him, not sure why they changed his first name. My father was 8 years old when this took place. Isacc and Jean had 4 other children together, that were my father's half siblings. I was close with some of them. 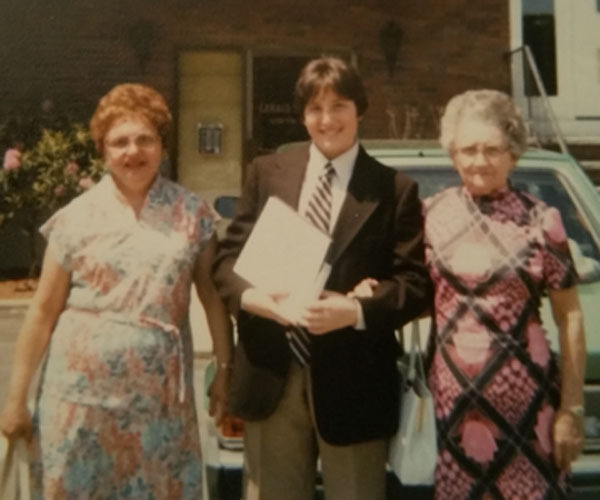 Here pictured from left to right are my mother's sister (aunt Ruthie), Younger brother Lance, and our Grandmother from Russia (Bubbie) at Lance's graduation in the Boston area. Bubbie always made her Strudel for us at special occasions like this. She didn't believe in eating out in restaurants, she didn't think it was healthy. 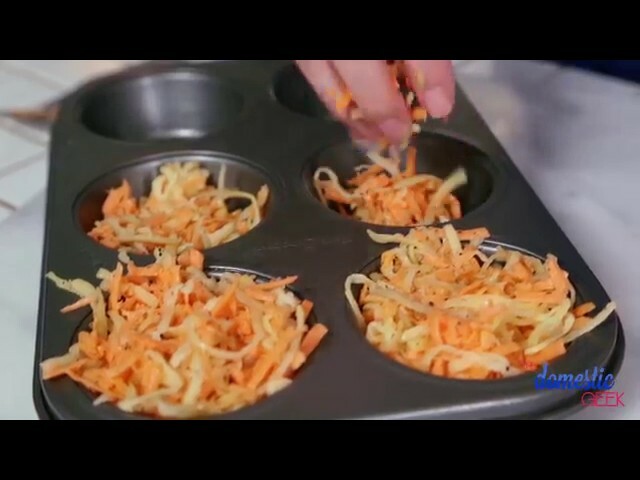 She felt they used way too much sodium, and fat and sugar! How right she was! Good thing the restaurants of today are catching on to not only healthy eating , but also gluten free. 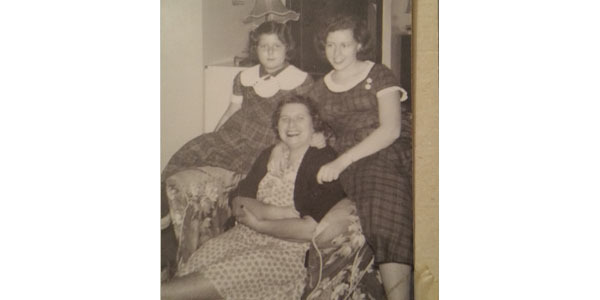 Pictured from left to right is: My aunt Gerry as a young teen, my grandmother in the middle and my aunt Barbara sometime back in the mid 50's in Boston. They often cooked together, and were quite good at it. 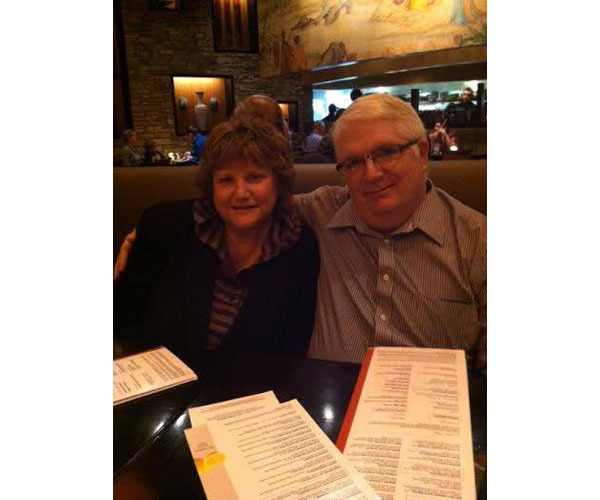 We believe my grandmother had Celiac disease, as she was quite sickly with a lot of stomach problems and much more. In her younger years, she had also been stricken with Polio. Also, Around this time the photo was taken, my father was lost and missing in action in Korea. Back then , President John F. Kennedy (then senator Kennedy) sent my grandmother a letter stating they were doing everything they could to find him. Later they did of course! My father saved that letter and framed it. Since my father's death I saved the letter and cherish it very much! Seated from left to right My step-grandfather (Grandpa), my aunt Gerry the youngest of my father's siblings. My Grandmother with her Italian haircut which she loved. Standing left to right My Uncle Martin, aunt Barbara, and Uncle Murray. These were my father's half sibling's as he was first born, and adopted by Issac Fisher at age 8. This photo was taken while he was missing in action. 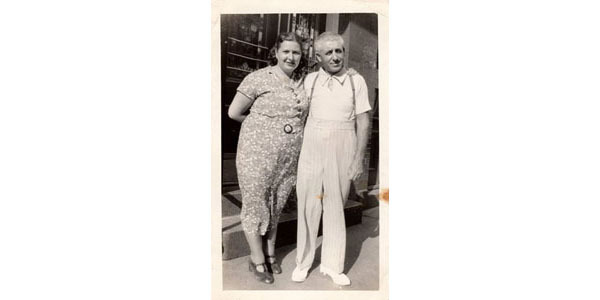 My grandmother had become pregnant with my father when she was 16 in 1932. We were never told who my father's real father was. My grandmother was sworn to secrecy! All we know is that he was an Italian man , not of good influence. My father was born Tomaso Miller. After being adopted by Issac Fisher at age 8 ,his name was changed to Leonard Fisher! This was to protect his identity. 1932 were the Al Capone years, and wild times with boot legging and prohibition and all. Need I say more. My family has such a unique history I never knew of until I was almost 40. This photo was taken in Boston in the west end in the 1950's. 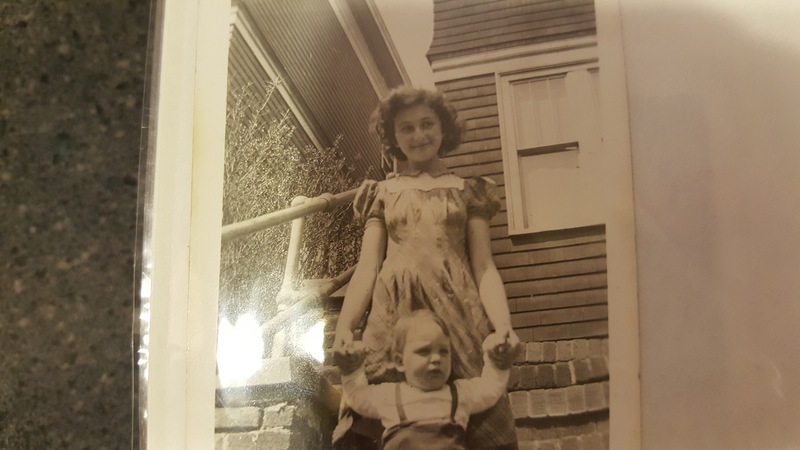 My grandmother was often photographed sitting because of her crippling condition from Polio. 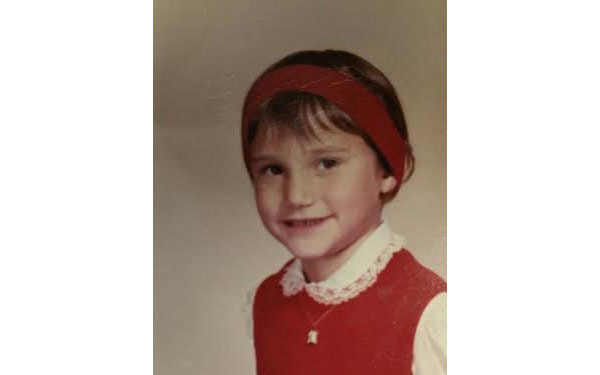 She learned to take on hobbies, such as crocheting, playing cards with her friends from Italy, and of course cooking(especially Italian food), which inspired a restaurant in downtown Boston's north end! The North end was also known as," Little Italy". Where the Italian imigrants came in and made the north end of Boston resemble Italy in it's looks, and culture. Fun place. I loved being there! Authentic Italian food was marketed. 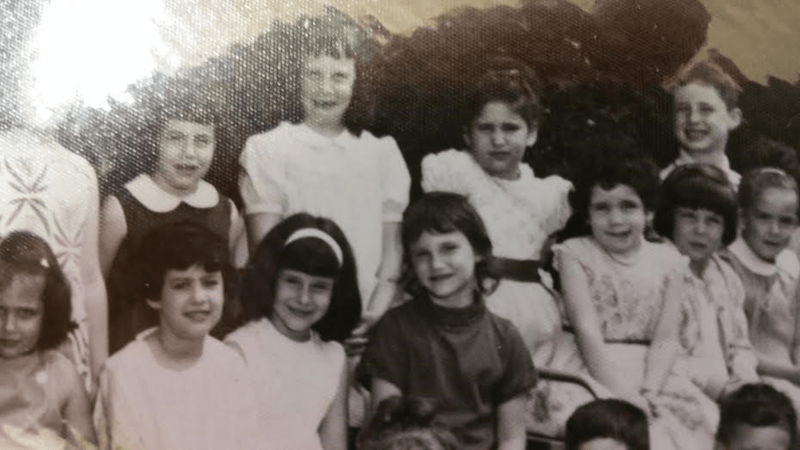 I am the one in the middle with the dark shirt. I was about 6 and in Kindergarten. Till this day I love dark shirts. It wasn't because I was heavy. 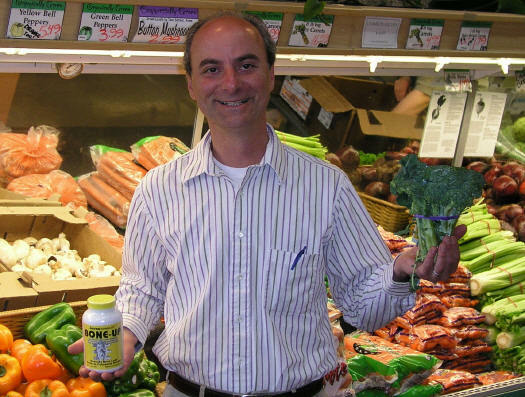 I was underweight back then, probably because of the Celiac disease. But anyway, We were living in the Boston area very near my grandparents. Everyone it seemed lived close by. Families were so close knit back then. Our homes were two and three family tenement homes. And we were also very close with our neighbors. 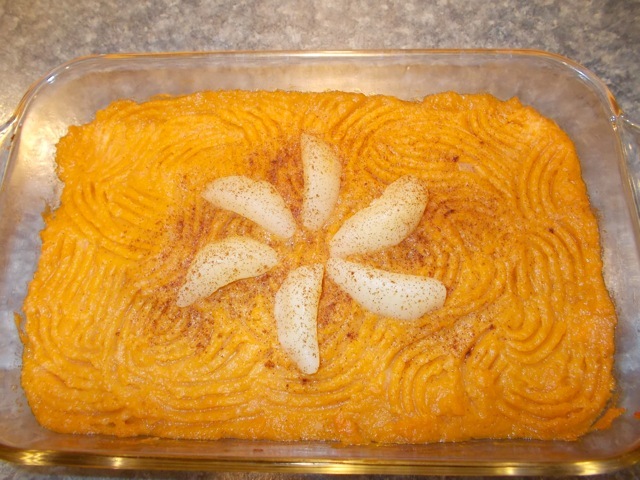 We often had family barbecues, and gatherings that revolved around food and fun. 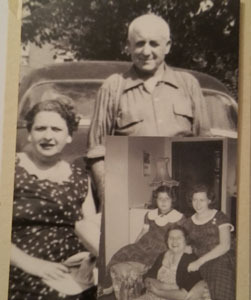 I guess it was some of those Italian roots from my father, and the Russian Jewish on my mothers side that caused us to be so social and bonding. I'm so grateful I grew up that way. I love the memories I have. My family and friends were so fun loving. There was always something to look forward to on the weekends. Growing up around imigrants from Europe , I learned so much about the culture ,sometimes I forgot I was born in America. 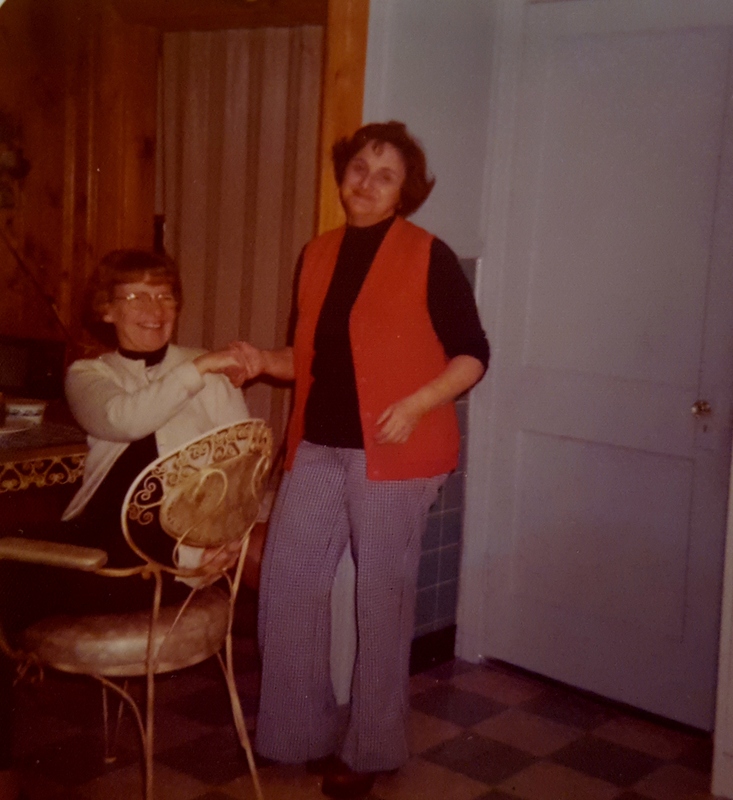 This is a photo of my Grandma Jean and her mother whom we called, "Grandma Polly". It was 1963. I can still remember visiting Grandma Polly's house and the big spreads of food we shared. I was very little, but can still remember my father holding my hand on the way to Grandma Polly's house. The baby is one of my cousin's, my cousin Steven who was my aunt Barbara's son born in 1963 . This was my Grandma Jean back in 1962. 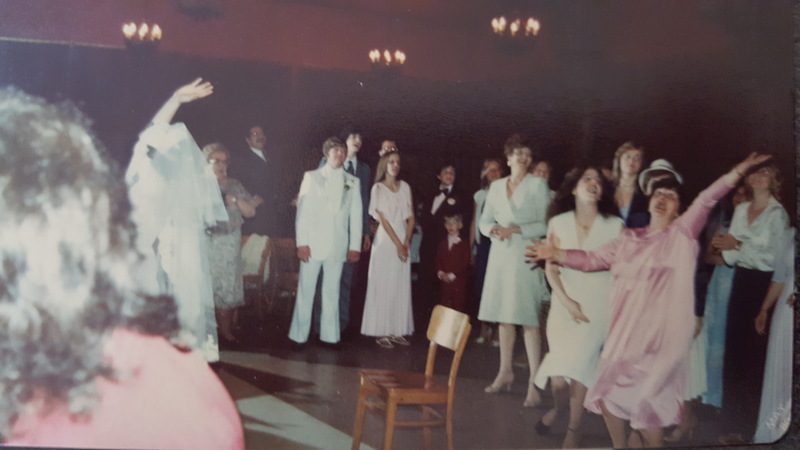 This photo was taken at my aunt Barbara's wedding to y uncle Mel. Looking at the photo's of the wedding, I think a good time was had by all! The food looked amazing! An Italian meal, with Jews and Italians in attendance. I was three years old then. I know my mother was busy since I was the third child. Brother Lance didn't come along until 1966. This is my older brother Alan. I believe he was 8 here. He was two years older than I. Still is! We spent a lot of Pal time together growing up. He was very protective of me, especially if someone gave me a hard time at school. We have so many stories of times shared together. Because we were close in age, we shared most everything especially food. And what I didn't finish , Alan was happy to oblige! He loved sitting next to me at the dinner table. He was an active healthy boy back then. Today he is healthy thank God, but slowing down a bit. Last time he visited we spent most of our time cooking together and watching movies. So different from when we were young, riding mini bikes, bicycles, swimming etc. I guess age comes to us all. Ok maybe I was 6 here. I know it was first grade. I remember how excited I would get ,going to pick out new clothes to wear for school. And the excitement of making new friends. Coming home in the afternoon, after school to my mother waiting to hear how my day was. She would always greet us with homemade snacks. What a secure feeling to grow up with. I'm still like that today! I love the excitement of making new friends! And I still like snacks! Lol! One of my favorite photo's of my mother from the early 1970's. 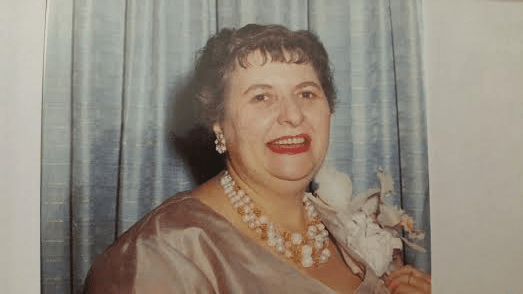 She loved special occasions and social events. I can still see all the food she either prepared, or when there was a very large crowd, would have it catered. Miss you Mom! This is me last year, at our first house we rented in Washington State with our Son Paul. After my mother passed away, Paul , Cy and I decided we needed to be very near each other. We lived with him for a little over a year while we settled in to a new area. 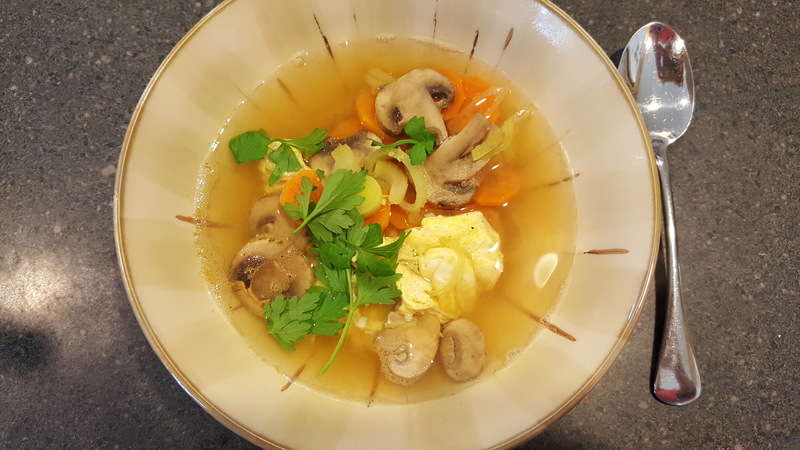 My son Loved living with us, especially because I made him a special dish each night. While he loved it, when we went to live in different homes, he complained about the weight he put on, but enjoyed every mouthful. And I loved feeding him. "My Bambino", you know!